Nick Guzzardo, winner of the 2011 Hoopie Awards is a trained gymnast & diver from Colorado. This last year Nick taught at multiple hoop events such as Spin Summit, Return to Roots, and Florida Flow Fest. Look out for Nick in 2012, his workshops you don’t want to miss. “Expanding the Current” is a refined version of Nick Guzzardo’s past workshops. We’ll pay attention to an area of our bodies that is mostly forgotten when we hoop. Thats right, our heads… thus Expanding our Current to a new level. We’ll learn the basics of head hooping and how it lifts the barrier of our hoops up and out of the way so our body can move and dance more freely, allowing us to explore movement with new eyes. We will go over dance techniques, momentum, off body moves and wraps that can become connections to other movements and techniques, realizing that if you can see it in your head you can make it happen. Thinking of the word “Current” in a different light, Nick will explain moves like body rolls in a digestible way while breaking away from strict and exact direction. We would like you to discover connections, to seek your own flow, and to explore the world of your body in relation to hoop. Throwing away our trick mindset for a more open sourced view, we learn that movement is free and is ours for the taking! 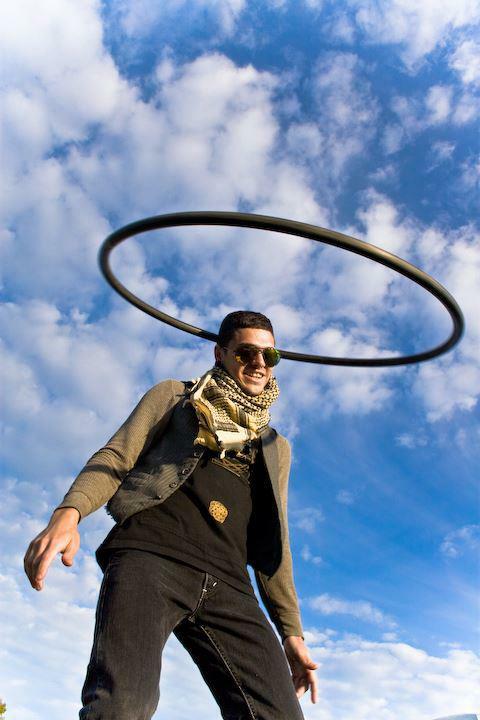 Nick and KiT’s fun, easy going personalities and focused movement will take you on a mind/body third eye hooping journey. NicKitTeam~They’re Addictive.